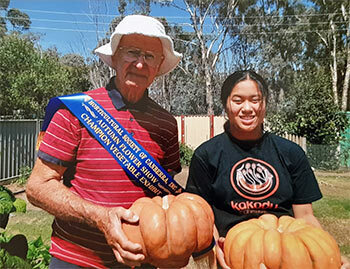 Keen gardener Reginald Jenkins has won the Champion Vegetable at the Canberra Horticultural Autumn Flower Show. 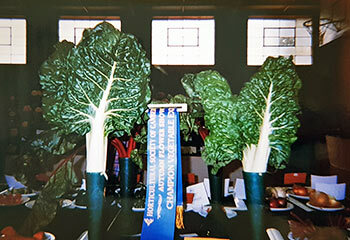 Reg had 17 winners, 7 seconds and Champion Vegetable with Pumpkin Musque de Provence. Locals were astounded by the colour of the pumpkin. Eden Seeds are used in Reg's garden. Photo: Reg and Olivia with the champion pumpkin.